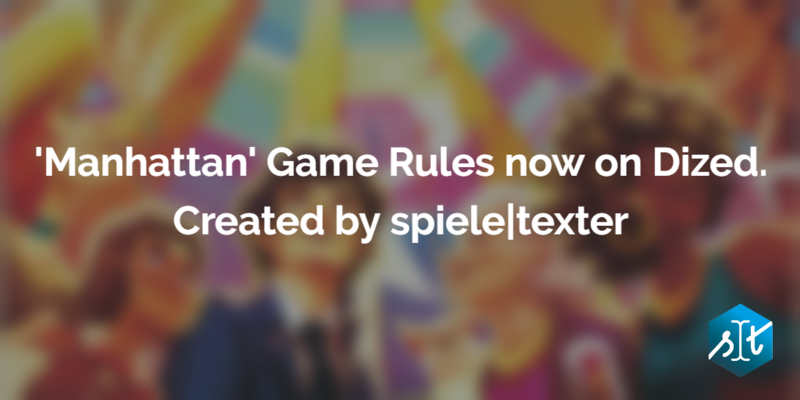 'Manhattan' Game Rules now on Dized – die spiele|texter - Wir regeln das mit Ihrer Anleitung. I’m happy to announce the release of my second rules creation project for the Dized game companion platform: Manhattan by Mandoo Games! Main part of the work was to transform the printed version of the rulebook into digital content that is easy to look up, browse through and search for within the Dized app. I also adapted graphics to go with the texts and created around 16 questions for the built-in FAQ section that players may want to have answered during the course of a game.